This article will probably be the most difficult that I have had to write because I’m going to try and address the issue of what’s wrong with Australian road racing, and, specifically, where have the crowds gone. Compared to some, I am a comparative newcomer to the sport of road racing. While having been a rider for a few years before, I didn’t attend my first road race meeting till 1976. With a plethora of sounds and sensations to take in, noting the size or otherwise of the crowd was not really a priority, though the crowd that sought whatever shade was available that scorching weekend did seem, in retrospect, to be impressive. As soon as I started attending meetings on a regular basis it became clear that, while the crowds were not as big as the car race meetings that I used to attend, they were impressive nonetheless. Trying to photograph at BP Corner at Oran Park when the crowds were 10 deep at the fence was a challenge. And, of course, the crowds at Bathurst were enormous. Fast forward to today and any road race meeting you attend across the nation will have either no crowd in the grandstand or a very tiny one. Sadly, the majority of people who make up a crowd will usually be the friends and families of the competitors who are putting on the show. Where have the crowds gone? Why does the paying public no longer head to the track on the weekend? There are a few exceptions to this scenario, but, as I hope to point out, these 5 meetings are the exceptions that PROVE the rule rather than the other way about. 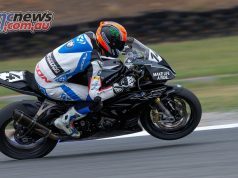 MotoGP, WSBK, Island Classic, BSFoS and the Troy Bayliss Classic are the meetings where you can still find it hard to get a spot at the fence and I will explain why this is so in this article, though I am sure that many readers are already cutting to the chase. To try and clarify this very confusing situation I am going to try and compare the meetings back then to those that are happening now and see if I can find out where the crowds have gone. And I’m going to do it by looking at what the meetings had then and what they have now. Names. It was the presence of the great riders of Aussie racing that brought the bumper crowds. Toombs, Hansford, Willing, Woodley and Quincey were household names, known, not just to the enthusiasts, but to the wider public as well. Chances are that, if you got pulled up for speeding on your bike in 1977 the cop would open his remarks with the question, “Who do you think you are, son, Warren Willing?” Everyone knew them, they were superstars. Mainstream media covered their comings and goings, TV covered the meetings, LIVE in the case of the Six Hour and the ARRC and Swann Series. The top racers had a public profile that reached far beyond the sport and enticed Mr Man-in-the-street to the track to see what the fuss was. Today, even keen motorcycle racing followers will struggle to name a top five of “stars” at all let alone ANY of them that command the attention of the wider public. The fact is that it is the NAMES who put bums on seats and we just don’t have the names. Before you dive for the computer I am not in any way denigrating Herfoss, Maxwell, Allerton etc. They are the best of their breed at present but nobody outside the sport has a CLUE who they are. 2. Tracks. Then we had many more race tracks than what we have today. In my period of following the sport we have lost the following tracks (and I’ve probably missed some) Oran Park, Bathurst, Amaroo Park, Hume Weir, Calder, Lakeside, Surfers Paradise. Significantly, the tracks that we have missed the most are the metropolitan tracks, the ones where you didn’t have to pack for an outback expedition to get there. In place of the above venues we have “gained” Eastern Creek, a track that is so unpopular that even the car racers don’t want to race there, Wakefield Park, in the frozen wilds of the southern highlands and The Paperclip in Qld about which the less said about the better. Attempts to build any new tracks close to the population centres are now doomed forever thanks to the Green lobby and NIMBYs and the new venues in the planning stages (Wagga, Shoalhaven, Tailem Bend to name a few) are all still a way off IF they happen at all. If you want people to come to the races you have to provide a venue to which they will find it convenient to come. “Well, (some will say) Eastern Creek is close to the city, in fact it’s right slap bang in the centre of Sydney’s population heart. Why don’t people go to the races there? It’s pretty simple. Firstly, only a handful of meetings are held there and, even if you sit in the top row of the grandstand you can only see about a THIRD of the track. Almost ALL of the on-track action at the Creek takes place in the unsighted and unviewable parts of the track. 3. TV coverage. As already noted, TV coverage of road racing was extensive during the 70s-80’s. Not only was the Six Hour race broadcast, but practice and qualifying on the Saturday was as well. The ABC (thank goodness for James Allan, head of the sporting department, he was a mad motorsports fan) broadcast the ARRC and other road racing events. As well as covering the Six Hour, both the ABC and Channel 7 at various times covered the rounds of the Production Series, Calder 2 Hour, Adelaide 2 Hour etc. Free-to-air TV coverage brought our sport into the average man’s lounge room and enticed him to go out to the track next time there was an event in his locality. 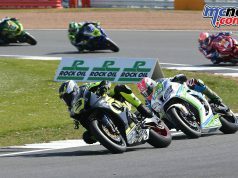 Today even the highest echelon of INTERNATIONAL road racing can only be seen in any detail if the subscriber is prepared to PAY for the privilege. As for TV coverage of LOCAL meetings; yes, there is some but it isn’t live and it is usually a “highlights” package rather than a detailed one. Why? Because someone has to PAY for the coverage and, if the people aren’t coming in the gate to WATCH, where is the revenue coming from to be able to do that? 4. Sponsorship. Funnily enough, the Golden Era was not the period of big sponsorship. The 90’s and onwards saw a huge investment, especially by the tobacco companies, but most road racers in the day, even the big ones, got by with far less corporate money than what we would think was essential to be able to put on a good show today. As then, so now, sponsorship is hard to get and even harder to keep. Even high profile international teams struggle to find a business that can help defray the enormous costs of competing at the top level. 5. Variety. If you went to a “normal” Open Meeting at Oran Park in 1979, for example, you would see races for every class imaginable from tiny 125cc racing bikes all the way up to Superbikes and sidecars. 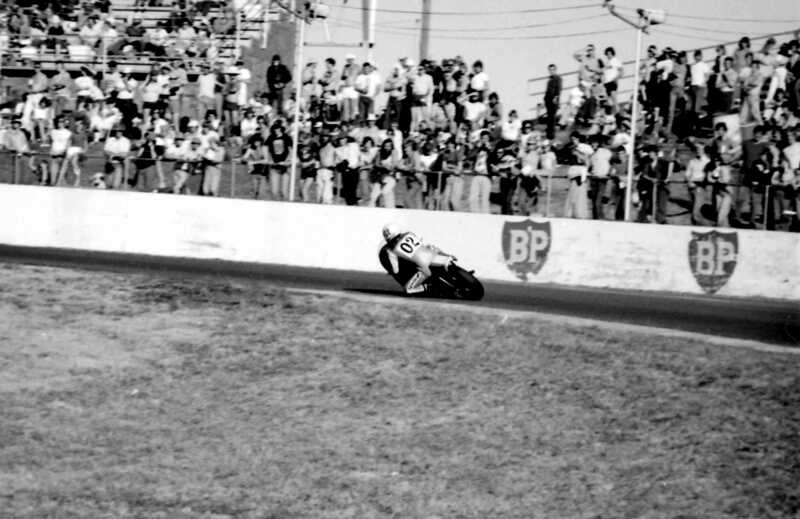 250cc production racing in both standard and improved guise was huge with fields of 50 and 60 riders. There were 250, 350 and 500cc racing bikes as well as the big 750’s. Production and Improved production unlimited capacity road bikes were also popular and the sidecars were a popular and well-populated class. There was always something new to watch the variety of bikes and riders made every meeting entertaining and interesting. Today the meetings are almost completely dominated by across-the-frame Japanese 4 cylinder, 4 stroke road bikes in various guises that look the same, sound the same and whose numbers and identification are almost impossible to determine once the bikes are at speed. Indeed, this criticism is being voiced not just about Australian racing but about racing overseas. 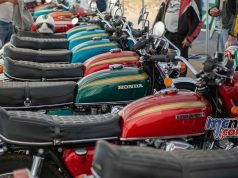 Many overseas competitors have told me that these days they prefer the Classic TT and the Manx to the TT races themselves for exactly that reason. 6. Two Strokes. Allied to the above in terms of reasons why the crowds have gone away is the loss of two stroke bikes from the programme. I know all the EPA-driven stuff has killed off the road smokers so the manufacturers no longer produce them in racing form, but the fact is that the raw and barely-controllable two stroke racing bikes were vastly more attractive than the tarted-up road bikes that dominate our grids today. When the two strokes died, something very valuable and attractive was lost from racing that no amount of four stroke technology can replace. In the last few years two-stroke only series have started to spring up in Europe and they are starting to attract some attention. 7. Number of meetings. In the era of the Hansfords and the Willings a Sydney-based enthusiast could be sure of having at least two road race meetings to attend EACH MONTH. I know, I did it. 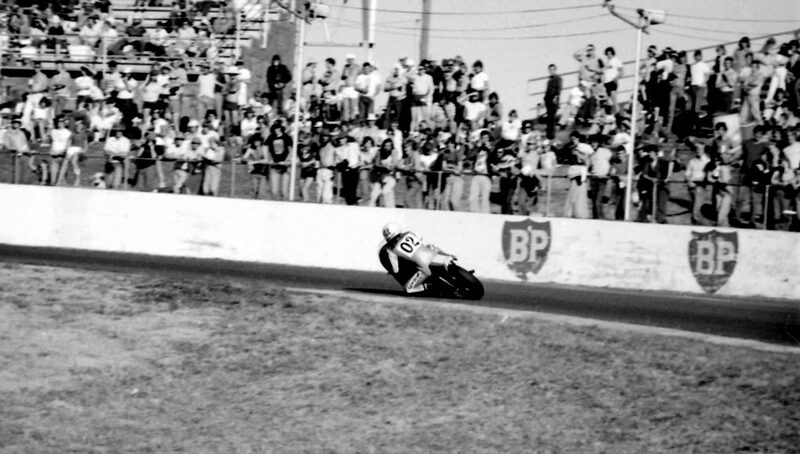 There were Club Days, C Grade Days, State Title meetings, specialised private series like the Rothmans Pro Series and the Chesterfield Superbike Series. Then there were the National Open meetings as well as rounds of the Production endurance series. There was ALWAYS something on. Today? The “major” series don’t even run a round in each STATE. Club days and C (now D) Grade days are gone and I can’t even remember the last time a meeting has been run that can justifiably deserve the title of a NSW Championship meeting. There are no Production endurance races anymore and no Bathurst Easter Carnival. And what racing that does take place, close and exciting as it may be is a diet of 4 stroke road bikes masquerading as racing bikes. Oh, and there is no Swann Series either (I mean the international one). All of these factors are at once the cause and the effect of a decline in road racing in Australia. We have had MA incompetence that saw the emergence of other race series that, instead of bolstering road racing, fragmented it and turned it into a bitter, ugly “them vs us” situation that turned many people away from the sport altogether. Competition for peoples’ leisure time has become fierce with parents struggling to keep up with their childrens’ sporting programme. Many more activities vie for our valuable leisure time also and many of them are cheaper activities in which to be involved. All of these factors and many others are putting the pressure on road racing and how it responds will be an interesting story to follow. Now, remember that I said at the start that there are only 5 meetings that I know of that regularly attract big crowds. What is the common factor that binds them together and sees them being continually popular with the fans? See point #1. Each of these meetings offer fans an opportunity to see and to interact with their heroes. (OK, pit access and access to the riders at MotoGP and WSBK is less than ideal, but the fact is that the stars are THERE and can be seen). In the end the same overriding factor that stacked the grandstands in the 70’s can do so again. The crowds come to see their favourites and the names will always draw the crowd. Structural change within the sport is needed so that our current top riders BECOME the household names that the Willings and the Hansfords and the Woodleys were back then. To finish off, here is a curve ball. Many years ago I remarked to a friend as we were going to a road race meeting that it was a shame to see all the people on bikes heading out on the road in the opposite direction to the direction we were taking. His answer perplexed me and annoyed me at the time, but he was right. “Well, maybe they would rather be riding their bikes than watching other people ride theirs’” he said. With ownership of motorcycles at an all-time high right now, perhaps it’s still happening?